‘Professional’ means OP UNIONE PASTORI Soc. Coop. Agricola, with registered office in NURRI (Italy, CA), Zona Industriale “Taccu”, Tax Identification Number 00050080910, REA (Administrative and Economic Register) Number Nu-24210; Telephone 0782/849060, e-mail address formaggi@unionepastorinurri.com, certified e-mail address coopagr.unionepastori@pec.net. ‘Customer’ means the adult user (18+years) who filled in the form and/or who registered and who meets the definition of Consumer as defined in Article 3(1)(a) of Legislative Decree No 206 of 6 September 2005 (i.e. natural persons not acting in a commercial, business or professional capacity). 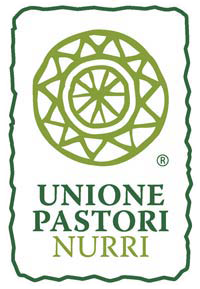 ‘Website’ means the website reached by typing in the following web addresses: www.unionepastorinurri.it and www.unionepastorinurri.com. ‘Products’ means the cheeses and cheese spreads produced by the Professional and marketed by the Professional in accordance with the description provided in the Website and at Prices stated therein (see below for definition of Price); delivered at no extra cost only in the case of Standard packaging (i.e. vacuum-packed with high-performance, high-barrier multi-layered heat-shrink film). The Customer is aware of and accepts the fact that the Products are subject to a degree of weight variation tolerance, as provided for and regulated by Clause 12 of these General Conditions of Sale. ‘Price’ means the price of the Products published on the Website, inclusive of VAT but NOT including delivery and shipping costs (if any), which shall be inclusive of VAT. ‘Delivery’ costs means the costs (inclusive of VAT) of the cooling system – where required by Customer (additional to the above-mentioned free of charge Standard packaging). They include the costs of packaging specified in Clause 8 of these General Conditions of Sale (i.e. an isothermal polystyrene package with gel ice). This additional expenditure is subject to the Customer’s express request. ‘Shipping costs’ means the costs (inclusive of VAT) for shipping the Products by courier/carrier (where this mode of delivery is proposed by the Customer and accepted by the Professional). These costs shall vary according to the quantity of ordered Product and the place of delivery. In any case, the Customer can check these costs before placing the order, using a simulator available on the Website. ‘Contract’ means the Product sale contract, which will be concluded once the Professional is notified that the Customer accepts these General Conditions of Sale (and the Data Protection Policy adopted by e Website and stated therein) and once the form referred to in Clause 3 of these General Conditions of Sale is filled in or the registration referred to in Clause 4 of these General Conditions of Sale is made. ‘Code’ means Legislative Decree no. 206 of 6 September 2005, (the “Consumer Code”). The above Definitions should be read carefully, since they constitute an integral and substantial part of the following General Conditions of Sale. The Definitions establish in an unequivocal manner the meaning and scope of the words used therein. These General Conditions of Sale apply to the sale of products strictly as concerns the purchases made on websiteswww.unionepastorinurri.it andwww.unionepastorinurri.com in accordance with the provisions of Part III, Title III, Chapter I of the Consumer Code (Legislative Decree no. 206/05 as amended by Legislative Decrees nos. 21/14 and 70/03) by the Professional. The Customer must, as soon as he/she accesses the Website, read the above-mentioned Definitions and these General Conditions of Sale which, however, shall be deemed to have been accepted in their entirety and unequivocally only at the time of purchase of the Products. WARNING. If you, the Customer access the Website and send to the Professional a purchase order for Products offered on the Website, by so doing you are declaring you understand and agree that by placing the Order you are accepting these Definitions, General Conditions of Sale and the Data Protection Policy (all together forming the Contract). You, the Customer, should download and print a copy of the purchase form and of these General Conditions of Sale, whose terms the Professional reserves the right to change unilaterally and without prior notice. The Website may be used, and hence the Products offered by it may be perused and purchased in the following languages: Italian, English and German (and/or Spanish). These General Conditions of Sale govern the offer, placement of purchase orders and acceptance of orders on Websiteswww.unionepastorinurri.it andwww.unionepastorinurri.com. They do not govern the supply of services or sale of products by parties other than the Professional which might be present on the same Website through links, banners or other hypertext links. Before placing orders and purchasing products and services from other parties, we suggest you check their conditions of sale. Pursuant to Clause 12 of Legislative Decree no. 70/2003 the Professional hereby informs you, the Customer, that every order will be stored in accordance with the law, in compliance with criteria of confidentiality and data security. 3. Conclusion of the contract. The Contract may be concluded, and hence the Products purchased, only by Clients (hence by individual Consumers), who at the time of placing the order are of age (18+). To conclude the Contract, it is necessary to complete correctly the electronic form at the end of the purchasing process (checkout) http://www.unionepastorinurri.it/checkout/ and send it to the Professional, following the instructions on the Website, or to register as explained in the next Clause. The Form includes the reference to the General Conditions of Sale, the price of the Products purchased, the available payment options, the mode of delivery of the Products and the costs of delivery (and shipping, if requested by the Customer), reference to the conditions for exercise of the right of withdrawal; and the manner and timing of returning purchased Products. Before concluding the Contract, you, the Customer, will be prompted to confirm that you have read and accept the General Conditions of Sale including, inter alia, the information on the right of withdrawal and on personal data processing. WARNING. The Customer will be required to pay the price of the Product and any other delivery costs (as well as shipping costs, if shipping is requested by the Customer and accepted by the Professional) from the time the online placing of the order has been completed. This is done by clicking on the “purchase” button at the end of the online ordering process. From this time on, the Professional will be informed of the Customer’s acceptance and the contract shall be deemed to have been concluded and shall become binding on both parties. The Professional shall send an order receipt confirmation e-mail to the address supplied by the Customer when filling in the form. This confirmation e-mail also serves as acceptance by the Professional of the Customer’s request concerning shipping of the Products. Thus, it will also serve as a request made to the Professional to arrange shipping by couriers of the Professional’s choice (at his sole choice, among the best-known: GLS, BRT, SDA). After conclusion of the Contract, the Professional shall handle execution of the order. To register on the Website, the Customer shall follow the instructions provided on the Website and shall supply correct and true personal data. Confirmation by the Customer shall exempt the Professional from any liability concerning the accuracy of the data supplied by the Customer, who must notify the Professional promptly of any changes to the data provided at any time. Should the Customer provide incorrect or incomplete data, or if the parties concerned raise complaints concerning payments made, the Professional may refuse or suspend provision of the service until such failings are remedied. When the Customer submits the first request for activation of the profile, the Professional shall assign the Customer a user name and password. The Customer understands that the assigned user name and password are the validation system for the Customer’s access to the Website and the only system that identifies the Customer; therefore any actions performed under such access codes will be attributed to the Customer and will be binding on the Customer. The Customer shall maintain his/her access data secret and shall keep them with the appropriate care and diligence and shall not disclose them to third parties, not even temporarily. 5. Availability of the Products. After receiving the order, the Professional shall verify that the ordered Products are in stock. If part or all of one or more of the Products are not currently available, the Professional shall promptly alert to the situation the Customer by e-mail; within the subsequent 12 hours, the Customer may reply to confirm the request to receive the part of the Products available in stock or, alternatively, may cancel the entire order. Should the Customer fail to reply to the e-mail within 12 hours, the order shall be deemed to have been confirmed and shall be executed as to the part of ordered Products that are still available at that date. Otherwise, the amount of the missing Products will be deducted or, according to the payment method chosen, will not be charged to the Customer. 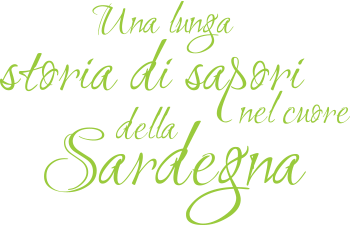 The Products offered on the Website comply with the national and EU legislation in force in Italy. Product information, characteristics and codes are published on the Website. Photos of the Products published on the Website normally match the photographs available in the Product description sheet. The image of the Products is intended solely as presentation for sale, and might not represent perfectly its characteristics and qualities (it could also differ as to colour and dimensions). In the event of differences between the photo and the written description in the Product sheet, the description will always prevail (this does not affect the Professional’s guarantee to supply the Customer with Products matching the description published on the Website). 7. Payment method and Prices. Once selected, the products will be added to the shopping cart. At this stage, it will suffice to follow the purchase instructions, by entering or verifying the information required at each stage of the process. Payment of the price of the Products and of delivery costs if any (and for shipping if required by Customer) – may be made via prepaid cards/rechargeable cards, by PayPal, by means of the main Credit Cards (circuits Cartasi, Visa/Visa Electron, Mastercard, Maestro and American Express) or by means of bank transfer. In the event of payment by bank transfer, the Product order will be executed after the time necessary for the money to be credited to the Professional’s bank account (usually 3-4 days depending on the banks involved). To speed up order execution, we suggest sending to e-mail address ………………. the data confirming the payment made, such as a copy of the bank transfer receipt and the Transaction Reference Number. In any case, the bank transfer must be made within 3 (three) working days from placement of the order (failure to do so will result in cancellation of the order). The payment reference to be made on the bank transfer must indicate the number and date of the order and the first and last name of the person placing the order. The bank transfer must be made to the Professional’s bank account having the following IBAN ………………. All the Prices of the Products stated on the Website are in Euro (€) and are inclusive of VAT. However, these prices DO NOT include the costs of packaging with gel refrigerant and shipping costs; both these costs are to be calculated separately and added to the Price of the Products. Prices may vary at any time. However, any changes will not affect orders for which order confirmation has already been issued. 8. Transport, Delivery and (on request) shipping. WARNING. Delivery of the Products is “ex seller’s warehouse” (i.e. specifically, at the Professional’s warehouse, at the same address as the registered office provided above. Therefore, transport costs and the handover of transport-associated risks shall by mutual agreement be the sole responsibility of the Customer from the moment of the ex-warehouse delivery. HOWEVER as an alternative to collecting the Product from the warehouse, the Customer may opt for the Product to be sent via courier from the warehouse to the address provided by the Customer as place of final destination of the Product. To this end, if when placing a Product order the Customer decides to add to the Price of the Product the shipping costs stated on the Website, this option would be considered automatically agreed by the parties as an implicit but clear and unequivocal proposal/commission by the Customer to the Professional to send the Products directly to the destination selected by the Customer. In this case, the Professional would reserve the right to accept such proposal/Commission and to communicate such acceptance promptly to the Customer. To accept the above-mentioned shipping request (and Product order) from the Customer the Professional will issue an order confirmation/acceptance. For the sole purpose of facilitating shipping for the Customer, the Professional shall (subject to acceptance of the Customer’s order/proposal) provide the shipping service to the Customer via trusted couriers at the cost stated on the Website. If you, the Customer, request shipping, you will assume the risks associated with transport from the time the courier collects the Product from the Professional’s warehouse. Shipping via our couriers covers the territory of Italy (including the lesser islands) and EU countries. On receiving the order, we will send you an order confirmation/acceptance e-mail , including acceptance of your request for shipping of the Products by courier (if you the Customer, choose to add to the Product Price the shipping cost shown on the Website). In the event of shipping, the Products will be prepared for handover to the courier who, when picking up the product, will issue a shipment code. We shall communicate by e-mail your shipment tracking code. This will enable you to follow online the route of your purchase to its destination. Before delivering the order, the courier will contact you by phone to advise you of the delivery date and approximate delivery time. For smooth delivery it is very important to provide a mobile phone number when entering your personal details. In the event of delayed delivery due to force majeure, the Professional will contact the Client by e-mail to inform him of the delay. The Professional may not be held liable in any way for any delays due to third parties and/or force majeure. The delivery times of shipped Products vary according to destination. By express courier, the Product delivery times (from dispatch) are on average 48-72 hours in the whole territory of Italy (except Sardinia, where average delivery times are reduced to about 24-48 hours). Slightly longer times compared to the other regions of Italy may be required for shipments to Calabria, Sicily and the lesser islands. Where no specific date for the delivery of the Products to their destination is stated, the shipment will be delivered within 30 days starting from the day following issue of the order. Shipping costs shall vary according to the quantity of purchased Product and the place of destination. If the Products are delivered ex the Professional’s warehouse, the (Standard) packaging will be designed ad hoc to ensure that our products come to you with the maximum degree of quality and freshness: the Products you chose will be selected with care; their good condition and genuineness will be checked and they will be vacuum-packed with high-performance, high-barrier multi-layered heat-shrink film (with no additional costs). In the event of delivery with shipping to the destination chosen by the Customer, the above-mentioned packaging will be accompanied (if requested by the Customer and at the Customer’s expense; hence with an additional cost to the Price of the Products and shipping costs) with a refrigerating system consisting of an isothermal polystyrene container in order to ensure unaltered freshness. The refrigerating system with gel ice, which we use, is a revolutionary alternative in the transport sector, for the shipping and storage of perishable products. It offers superior performance compared with all the classic cooling systems available on the market, including dry ice, gel pack and water ice pack. Thanks to the thermal-regulating characteristics of this system, the shipped products will remain cooled for an estimated period of about 72 hours, at a temperature between 2°C and 7°C, which will guarantee an unbroken cold chain. The properties of this gel ice make it entirely harmless and non-toxic for the Products and for those handling it. Moreover, differently from dry ice, it is not classified as a hazardous substance (dry ice: UN 1845 /Class 9 / P.I. 904. III). Lastly, gel ice is respectful of the environment, because it is re-usable and allows eco-friendly disposal. It does not leak liquids, produce refrigerating shock or the classic cold burns to food. The first stage of packaging consists in packing the ordered food Products in a polystyrene container together with the gel ice. Inside this hermetically sealed container, a cooled environment is created at a constant temperature between 2°C and 7°C, which will ensure freshness of the foods and an interrupted cold chain (as if they were stored in the refrigerator). The polystyrene box with the food and gel ice is placed within an outer cardboard box. The Products are now ready for shipping and will reach your home in perfect condition and ready for consumption. Once you receive the parcel, you can dispose of the different elements of the packaging (polystyrene and gel ice) as per the rules of your town council, while the cardboard box should be disposed of as paper/packing. Also remember that if you like you can reuse the gel ice, just place it in your home freezer. Any Customer complaint should be made to the Professional’s e-mail/certified e-mail or by phone. The Professional will open a file on any complaint received and will examine it to find the appropriate solution. The Customer will be informed as soon as possible of the outcome of the complaint’s assessment. WARNING. The risks and costs of transport of the Products will be transferred to the Customer from the time the Products are handed over at the Professional’s warehouse (“ex seller’s warehouse”). Ownership of the Product will be transferred to the Customer as soon as the Price for the Products is received, including delivery and/or shipping costs (as applicable). The moment of transfer of risks and costs will be the same also in the case of shipping requested by the Customer. In this case too, the transfer shall be at the warehouse, at the time the Products are handed over by the Professional to the courier. 10. Warranty and conformity of the Products. In the event that the Products do not conform to their agreed condition, the Customer must contact the Professional immediately. The sale of the Products is subject to the legal guarantees laid out in Articles 129, 130 and 132 of the Code. In the event of defective Products, you, the Customer, shall be entitled, at your choice and provided the type of Product allows it, to remedial action or replacement of the Product at no cost for you, or to cancellation of the contract. The warranty period for warranty claims is two months from the date the defect is discovered, unless the Product has a shorter shelf-life, in which case the defect must be reported within such shorter shelf-life period. The Professional will disregard any claims made beyond the above-mentioned time limits. In any case, the Professional may not be held liable if the failure to perform or delay in performing one or several of the obligations under this Contract is caused by an unpredictable and insurmountable event due to third parties or to force majeure. Save for the exceptions to right of withdrawal laid down in Article 59 of the Code and mentioned hereinafter, the Customer has a period of 14 (fourteen) days to withdraw from the Contract without having to provide any reasons and without incurring any costs other than those set out in Article 56(2) and in Article 57. 3) in the event of contracts for the periodic delivery of goods over a certain period of time, from the day on which the consumer or a third party, other than the carrier and appointed by the consumer, acquires physical possession of the first batch delivered. b) sending any other written notice clearly stating your decision to withdraw from the contract. To exercise your right of withdrawal within the withdrawal period laid down in Article 52(2) and in Article 53, you must send your withdrawal notice to the Professional before the expiry of the withdrawal period. It is for you, the Customer, to prove that you have exercised your right of withdrawal in accordance with this Clause. b) to conclude a distance contract or contract arranged outside commercial premises, if an offer to conclude the Contract was made by the Customer. The Professional shall reimburse all the payments made by the consumer, inclusive of delivery costs, without undue delay and in any case within 14 days from the day of receipt of the Customer’s notice of withdrawal under Article 54. The Professional shall make the above-mentioned reimbursement using the same payment method used by you, the Customer, for the initial transaction, unless you have expressly agreed otherwise and provided that you incur no costs as a consequence of the reimbursement. Unless the Professional has offered to collect the goods himself, the Professional can withhold reimbursement until he receives the goods or until the Customer proves having sent the goods back, whichever of the two occurs first. Unless the Professional offered to collect the goods himself, you, the Customer, will return the goods or hand them over to the Professional or to a third party authorised by the Professional, without undue delay and in any case within 14 days from the day you notified the Professional of your decision to withdraw from the Contract under Article 54. The time limit is respected if the Customer sends back the goods before the expiry of the 14-day period. You, the Customer, will only incur the direct cost of returning the goods, unless the Professional agreed to bear that cost or failed to inform you that you would be charged such cost. if your right of withdrawal was not exercised in accordance with the provisions of the Code and the Contract (i.e. in the manner and within the time-limits set out therein). WARNING. The right of withdrawal is subject to the following conditions: the right applies to the whole Product purchased. The right of withdrawal cannot be exercised in respect of only part of the purchased Product. Pursuant to the law, the shipping costs of returning the Products are to be paid by the Customer. Shipping is under the full responsibility of the Customer up to delivery of the returned product to our warehouse. If the goods were damaged during transport, the Professional will so inform the Customer (within 5 business days from receiving the Products back at the warehouse), to allow you, the Customer, to make a claim to the courier you have chosen and to obtain reimbursement of the value of the good, if it was insured. In this case, we will make the product available to you, the Customer, for return, and will annul your withdrawal request. The Professional will not be liable for damage, theft and/or loss of Products returned by means of uninsured shipping. The Professional will reimburse you, the Customer, for the whole amount you have already paid, deducting the value of shipping costs for return of the Products, within 30 days from receiving the returned product, by cancelling the amount debited to the Customer’s credit cart or by means of bank transfer. In the case of bank transfer, the Customer must provide bank details for the transfer. WARNING. The Products offered are artisan products; therefore, their weight is variable. Considering that the Products are sold by weight, please consider that actual final weight (on receipt of the Products) might vary by up to 10% from the weight stated in the order. Given that this variability leads to an increase in the cost of the ordered Products, the final price payable by the Customer is exclusively the weight established at the time the Product is weighed and prepared for delivery. We execute deliveries preferably by Tuesday for shipments to EU countries and by Wednesday for shipments to Italy; to make sure that the Product (being perishable) is left to stand in the courier’s warehouse over the weekend. In any case, we can also execute deliveries on Thursday or Friday. In this case we prefer a direct contract, in order to check together the best solution for receipt of the Product. In view of the above, orders placed on Thursday or Friday are as a rule shipped on the following Monday. No deliveries will be made on Saturday, Sunday and holidays. Considering the physiological perishability of the Product, it is very important that (if you requested us to arrange shipping and we have agreed to do so) you give us a precise and complete address and ensure that on the scheduled date for shipment delivery someone is available to receive the shipment to avoid the goods having to sit at the courier’s warehouse. Accordingly, we recommend you always provide a telephone number which the courier can call to alert you that the products will be delivered soon to the address you provided. Should one of the clauses in these General Conditions of Sale be null for any reason, this will not affect the validity and applicability of the other provisions in these General Conditions of Sale. Any aspects not covered and regulated by this Contract are governed by the Code and the Italian Civil Code, and you, the Customer, are referred to it. These General Conditions of Sale are governed by Italian Law and are interpreted in accordance with it, without prejudice to any other overriding mandatory rules in force in the purchaser’s country of habitual residence. Consequently, the interpretation, performance or termination of these General Conditions of Sale shall be governed exclusively by the laws of Italy. Any disputes relating to or arising from said Conditions shall be submitted to the sole jurisdiction of Italian courts. In particular, if the Customer meets the definition of Consumer set out in the Code, any disputes should be handled by the Court of the Customer’s place of domicile or residence. In all other cases, the Court of Cagliari (Italy) shall have sole territorial jurisdiction. Pursuant to and for the purposes of Article 1341 of the Civil Code, the following clauses are expressly accepted after careful perusal: 3. Conclusion of the contract; 5. Availability of the Products; 6. Products offered; 7. Payment method and Prices; 8. Transport, Delivery and (on request) shipping; 9. Transfer of risk; 10. Warranty and conformity of the Products; 11. Right of withdrawal; 12. Variable weight products; 14. Safeguard clause; 16. Governing law and jurisdiction.